As a voracious reader, enthusiastic writer, and aspiring author, I know a little bit about the power of words. Imagine my delight when a member of my philistine family finally showed some interest in really good books. Yes, my husband, the Original Obnoxious One reads – nonfiction economic, law and business books. How do you spell boring?! My son, the Obnoxious One reads – economic and history text books at university. My daughter the Weird One reads – existential angst-ridden teen fiction. It hurts just to look at her books – really! The Weird One recently told me, “Mom, in all the best fiction, somebody always dies. Think of Disney’s Snow White and the Lion King. So, you should definitely kill off someone in your novel.” Yes dear,a must-have inclusion for a humorous middle grade novel. But this member of the family showed a fierce desire to go beyond all that, way beyond! 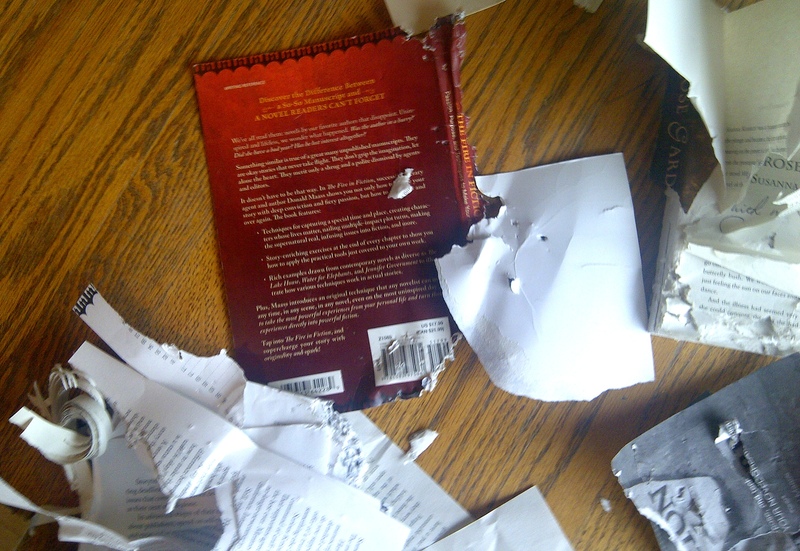 This one wanted to gorge on books, to totally possess the written word. Who am I talking about? Why Franklinstein of course. 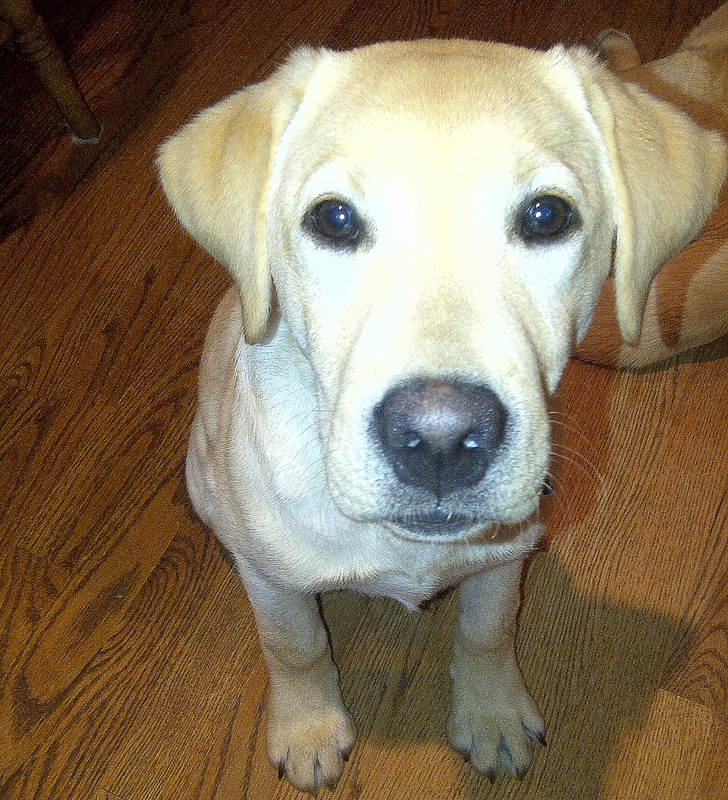 It wasn’t enough for him to chew my slippers, shoes, boots, chairs, baseboards, drywall or mill-work. Is it any wonder he has digestive issues? Nope, he has officially moved on to books. Sigh – what an intellectual. And not just any old books, but the two books I purchased at the amazing Surrey International Writers’ Conference a couple weeks ago. And they were signed by the authors and addressed to me! Yeah, specifically The Rose Garden a wonderful story by Susanna Kearsley which luckily I read before Franklinstein struck, as well as The Fire in Fiction: Passion, Purpose and Techniques to Make Your Novel Great by Donald Maass. It was next in my pile of books to read. It looked really good; it looked really great in fact. So, can you imagine my reaction? I placed the two books on my desk in the kitchen, and left the house for two hours. Apparently Franklinstein enjoyed himself very much in my absence. Perhaps he was familiar with John Milton’s words, “A good book is the precious life-blood of a master spirit.” Yeah, that must be it. You can say that again. Many times. Really! This entry was posted in children's books, dogs, life musings, writing and tagged Canadian, dogs, family, humor, life, pets, writing by Rita Russell. Bookmark the permalink. 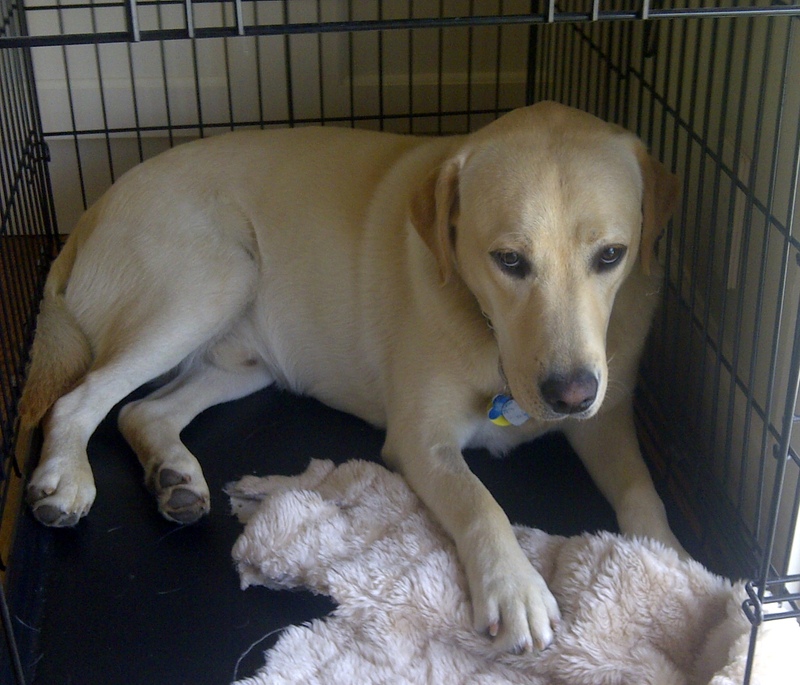 PS) Maybe you need to use that crate a wee bit more often… ? Yeah, it’s taken me a week to forgive him; in fact I was very, very tempted to return him to the breeder. And you are ABSOLUTELY right about the crate. I brought it back into the kitchen and now put him in it whenever I’m not around. So…. did I tempt you to the challenge? Dying to know. NaNoWriMo is off to a good start: 4500+ words today. That puts me 2 days ahead! Yeah baby. Ahhh…you are so right ;). 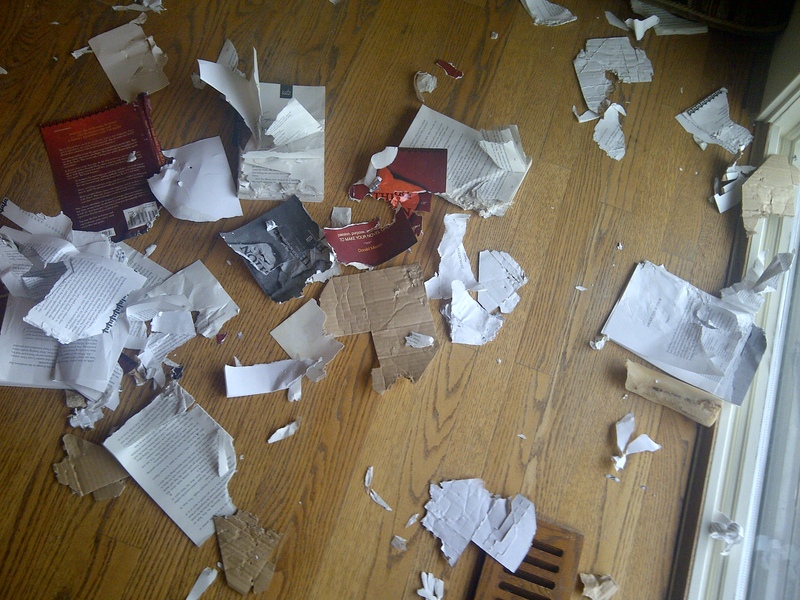 Maybe next time I should “tempt” him with a book on dog training! Love your blog, Rita. Have we met at the Surrey conference? Too many great people to remember by name. I tried to ‘Like’ you on Facebook, but I keep getting an error message. Are you on FB? Thanks Helga and yes we did meet at the Surrey Conference. 😉 As for Facebook, yes and no.